Kim Da-hyeon is a cold city guy in tvN's "Twelve Men in a Year"
Actor Kim Da-hyeon is going to come back to home TV screens as a cold city guy. 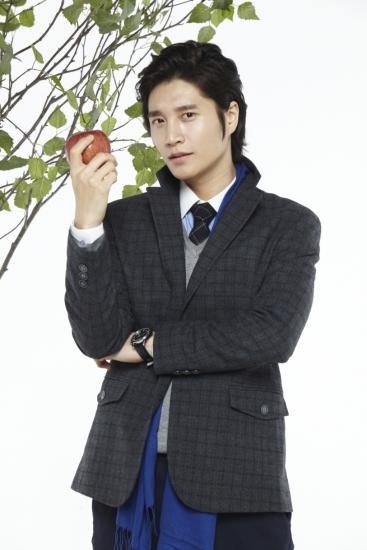 His management, Fantasio, said, "Kim Da-hyeon has been cast as the Aquarius Hyeon-woo, who is one of the guys Yoon Jin-seo meets in the drama". In the drama, Hyeon-woo is a university physics professor with a sculpture-like face, soft voice, logical mind and outgoing personality. He is one character who strives for love because of Miru (Yoon Jin-seo), but at the same time shows that the male is not such an easy species to understand. Kim Da-hyeon appeared as Kim Hong-do in the drama "Warrior Baek Dong-soo" and also performed in the theatrical play "Alone in Love". Many are curious as to how he will carry out the character of a dandy and attractive man who also has a cold side. Meanwhile, tvN's "Twelve Men in a Year" is a romantic comedy about a magazine columnist who writes about her personal experiences with twelve different men who all have different zodiac signs. "Kim Da-hyeon is a cold city guy in tvN's "Twelve Men in a Year""
Lee Tae-sung and Jung Yoo-mi in negotiations for "The Rooftop Prince"
Hwang Jung-min "Yoo Jae-suk is very honest but I wish he'd take off the mask"